As Raabta opens in theatres on Friday, 9 June 2017, all eyes are on its lead pair Sushant Singh Rajput and Kriti Sanon. 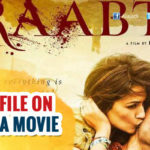 Raabta could be the big ticket that both these fairly new, but partly-successful, actors need. While Sanon’s last release was Dilwale, Raabta while finally be a platform for her to shine and show what she can do as an actor. This is a litmus test for Sushant because his last film was MS Dhoni: The Untold Story. 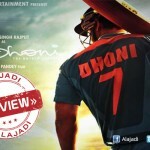 A lot of the film’s success was attributed to the fact that Dhoni has such a massive fan following. With Raabta, we’ll finally get to see how he manages to make the content and character his own. This film tells the story of two seemingly ordinary individuals, going about their lives until their paths cross and they realize that they belong with one another. Shiv (Sushant Singh Rajput) and Saira (Kriti Sanon) fall in love with each other and gets the connection between them from which those cannot be separated. But the twist in the tale is that Saira crosses paths with a reincarnated lover, who is determined to make her his lover again. The connection between the lead actors which was created several hundred years ago takes Shiv and Saira to get back together in the real life with love, emotions, entertainment. As we know that, the makers of Maghadeera alleged that the film is of the same concept, there were many movies with the same concept. But the only thing that is different is the motivation of the story with the idea that Dinesh Vijan has in his mind. The movie is better with the lead actors chemistry which worked out so well. 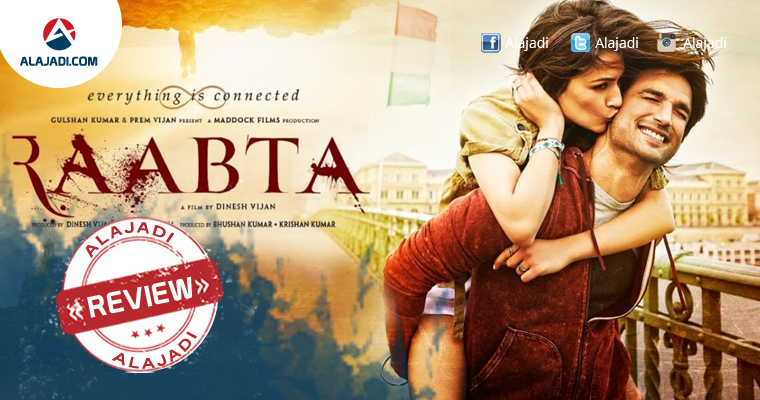 Raabta has potential. And it’s good to see a film that takes itself seriously in the right way, a lot of effort has been taken to establish authenticity. Sushant Singh Rajput: He justified for his role. Kriti Sanon: She looks very glamorous in movie and also acted well. Jim Sarbh: He is turning out to be far better altogether than Sushant. Writers Siddharth-Garima and debut director Dinesh Vijan’s conviction isn’t questionable, but it doesn’t quite translate to the screen. 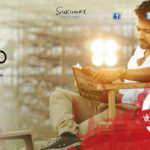 Even though the movie is technically sound and looks great, it is missing the raw passion required to sell a love story. Especially one that’s been brewing for 800 years! There are too many obvious influences: the saccharine first half is full of walk-and-talks in a beautifully shot European city (Before Sunset); the tribal past is right out of Game Of Thrones – Dothrakis are replaced by Murakis and astronomy is given similar importance; a scene towards the end is a forced throwback to Titanic.